Speaking to media in Galle, Minister Karunatileka said the UNP is prepared to face all elections and noted that the Presidential election must be called during the course of the year. Minister Gayantha Karunatileka said following the announcement of the Presidential Polls, the UNP Working committee will follow due process and name the victorious candidate. 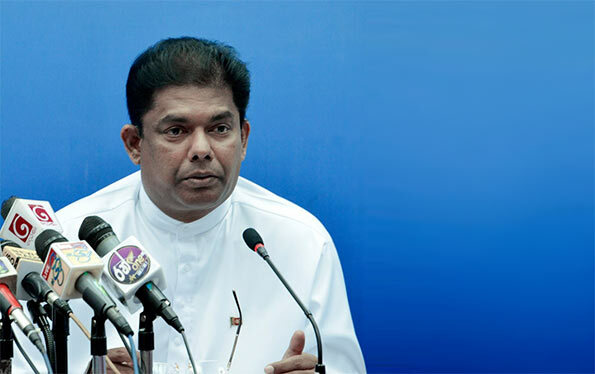 The Minister noted that the UNP will face the election under a broad alliance. Minister Gayantha Karunatileka added that the opposition is faced with numerous obstacles including conflict within the group over selection of suitable candidate to face the next Presidential Election. If the UNP has any ba*** remaining, it will nominate the most promising candidate who has the capability of being the Jacinta Ardern (NZ Prime Minister) of Sri Lanka. The UNP’s candidate should be Hirunikar Premachandra. Unfortunately, she is in Courts on an assault charge. The Pohottu should nominate Pavithra Kumari Wanniarachchi. We badly need young blood in leadershp.